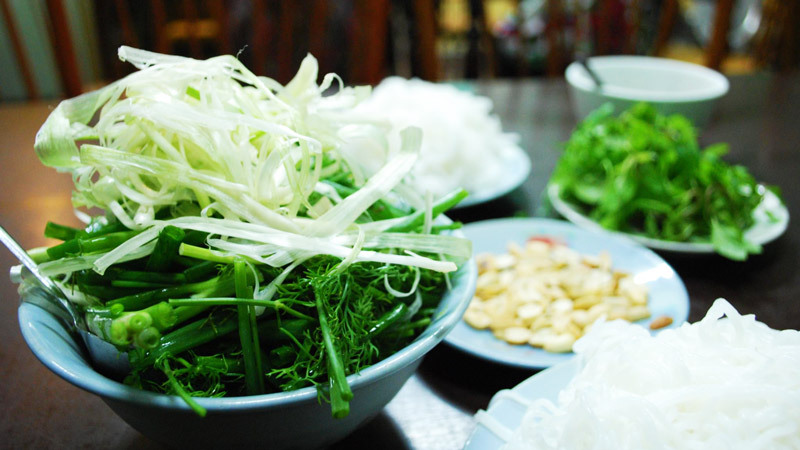 Vietnamese food is delicious and it is often cited as one of the healthiest cuisines in the world. To make sure that this was true, we spoke to Antoine Yvon, the head nutritionist at CMI hospital in Ho Chi Minh City. You will finally know if all those banh mi sandwiches are good for you, if you should drink the broth of your pho or not, and the name of Vietnam’s only super fruit. The interview was translated from French. Antoine: Vietnamese food is one of the healthiest and balanced in the world. As a professional, I have seen that dishes and ingredients used in Vietnamese cuisine can cover all the dietary needs on protein, lipids, carbohydrates, vitamins and minerals because there is a great natural diversity of agricultural products. It is this diversity and variety that are the foundations of a healthy and balanced lifestyle. The healthiest dishes are the soups (among which are pho), spring rolls, fruit and vegetable salads, claypot dishes, rice dishes with meat or fish cooked in sauce and fresh fruit juices. 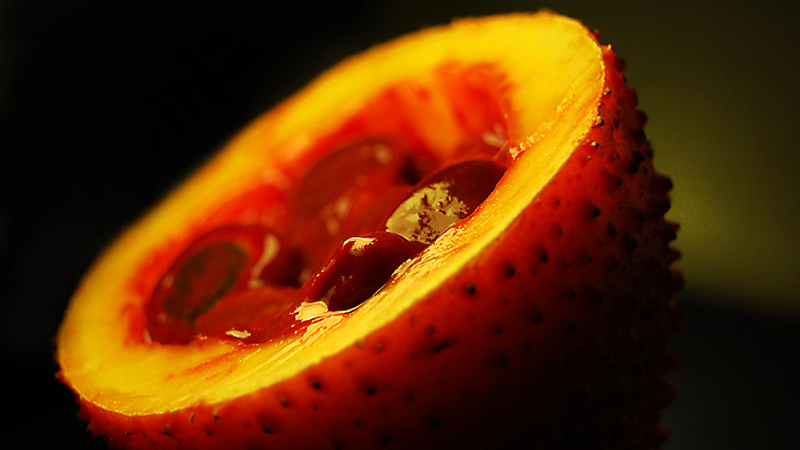 Though not often eaten apart from during traditional festivities, the little know “gac” fruit (or red melon), often nicknamed the “fruit of paradise” is the fruit with the highest concentration of carotenoids in the world (a precursor to Vitamin A). The gac contains 75 times more lycopene (an antioxidant) than tomatoes. It can be considered a super fruit. Its taste is close from red melon and carrots. It is more and more popular in the U.S. or Europe as an eating supplement. 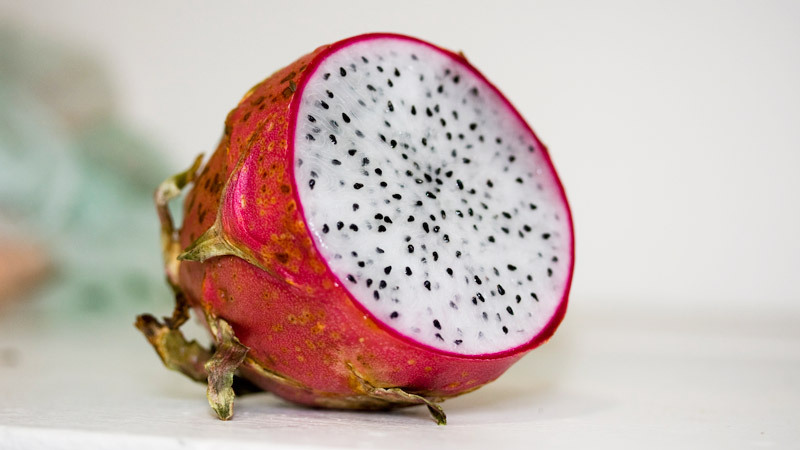 What are the most recommended local fruits and vegetables (dragonfruit, sapoche, kumquat, etc)? You might know the expression, “an apple a day keeps the doctor away” – what is the Southeast Asian equivalent of our trusted apple? You should be careful in making sure the ingredients added are not processed food (pate, sausages, cheese) and that not too much sauce is added (particularly if it sugars, or fat). I would recommend to consider them for what they are, aromatic plants. They can make your dishes tastier and delicious. The healthy part is a bonus. 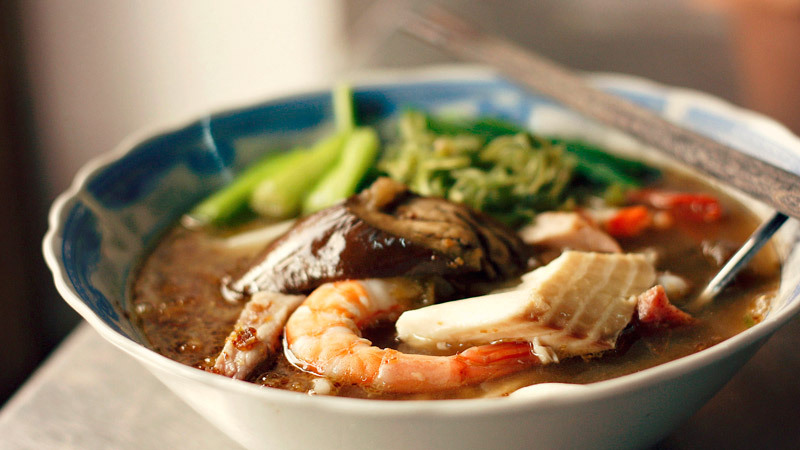 There is a Vietnamese paradox: even though Vietnamese food is naturally healthy, full of flavors and nutrients, the trend is towards artificially flavored, industrially processed and nutrient enriched food. Pay attention to where you eat and the ingredients used in the preparation of the dishes. 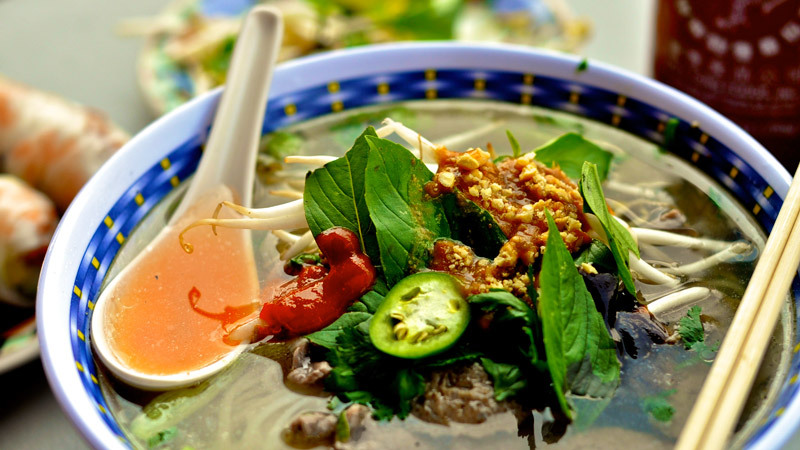 A pho might be healthy somewhere because natural ingredients are used, while another one won’t be as nutritionous because it uses food enhancers.